When I first "signed up" to do a review of these decals, I wasn't familiar with the company, or what would be on the sheet. I was interested in the Ki-43 markings, as I find myself building mostly Japanese aircraft recently. When the package arrived, I was very pleasantly surprised at what I saw! 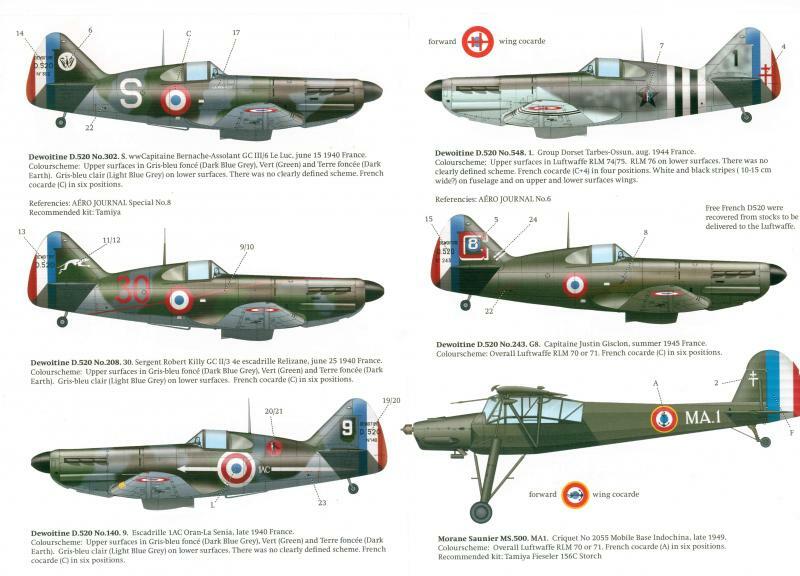 PT Decals sheet #48002 covers some captured WWII Axis aircraft in French service. 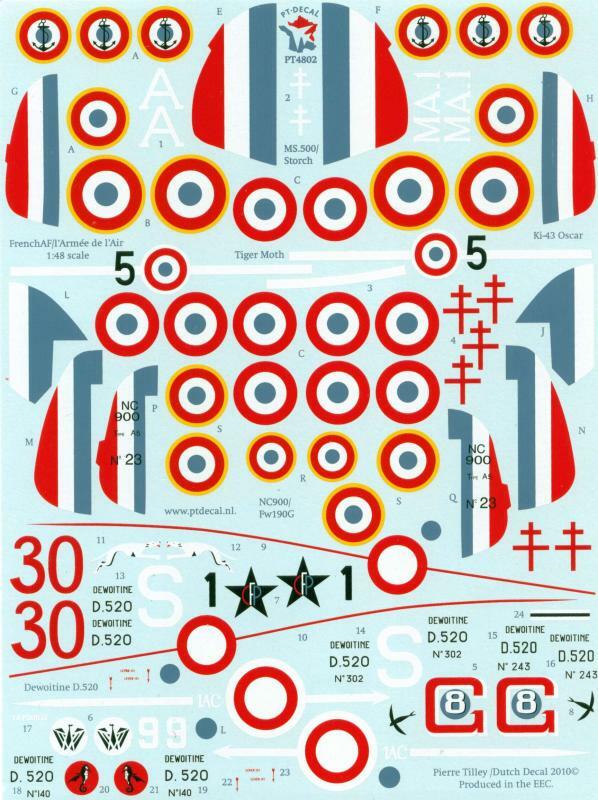 The decal sheet itself is very well done with markings for all the aircraft listed below. The decals are all in perfect register, and appear to be of the highest quality on the market today. The lower right of the sheet reads "Pierre Tilley / Dutch Decal 2010; Produced in the EEC"
All sheets are printed by high definition silk screen. PTdecal sheets are published as limited editions for discerning modellers and come with detailed full color instructions." 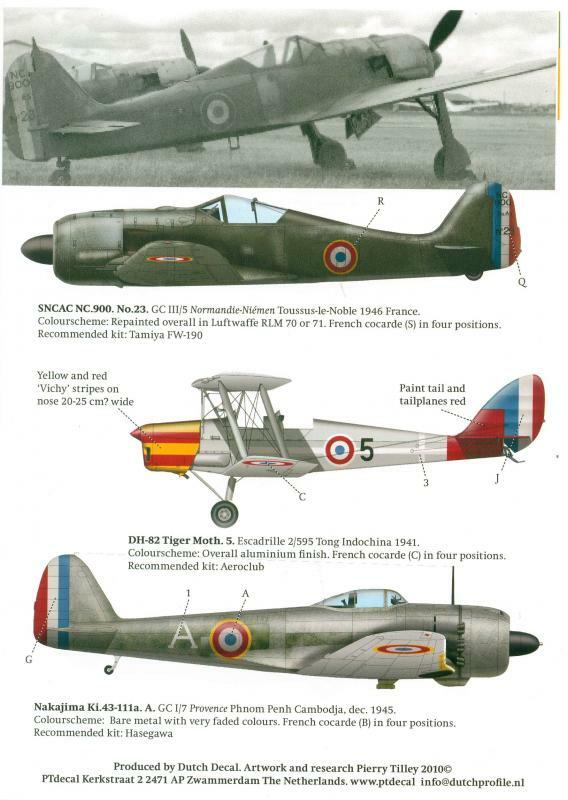 I highly recommend this decal sheet to anyone interested in French aircraft, or someone looking for that "something different" to add to your display case. Those who like captured aircraft will also find this sheet a valuable one to add to their collection. I would think that the only down side to this sheet would be to finding one in the USA. They are available online from various sellers, but I could not find one in North America who had them in stock. If you're looking for this wonderful sheet my advice would be to get it now - don't wait! These are limited production sheets, and when they are gone, they will not be reprinted. Thank you to Dutch Decal for providing the review sample.